Samson was a very cool New Wave of British Heavy Metal (NWOBHM) band that was active from 1977 to 1984, though there were several reunions after that. Iron Maiden rendered Samson a footnote, as mega-vocalist Bruce Dickinson did time with the band prior to hooking up with Eddie’s crew. Early Iron Maiden drummer Clive Burr was in Samson for a bit, too. The 1986 compilation Head Tactics was an effort to profit from Dickinson’s superstar status, which makes sense. It’s a good album and a must have for NWOBHM fans. But that cover, Sweet Lombardi’s Ghost. Could you have spent more than thirty minutes on this hunk of junk? 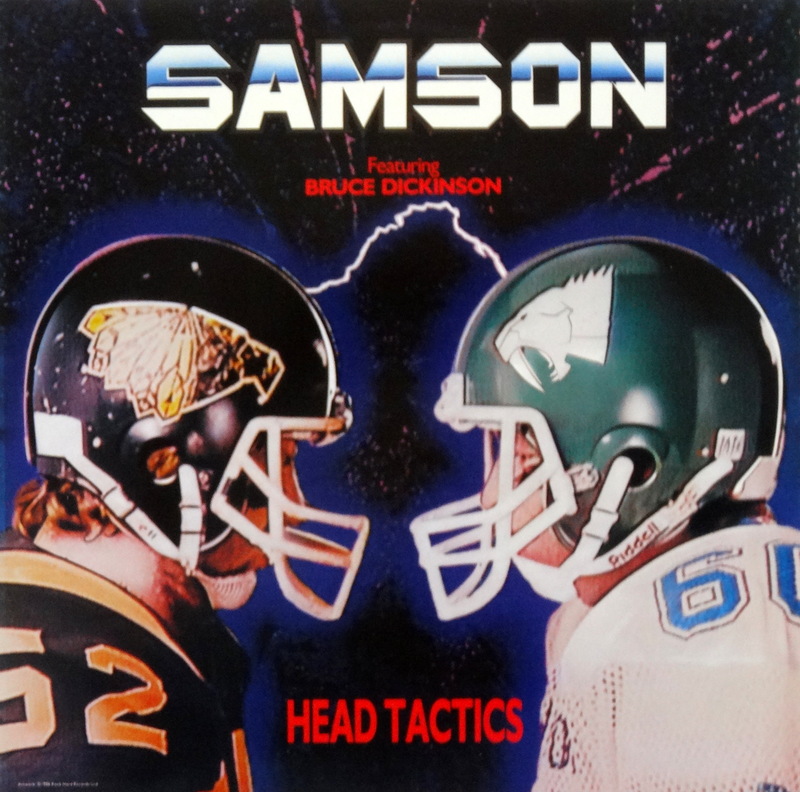 Maybe I’m just not a football fan, but Head Tactics is going into the Bad Album Cover Hall Of Fame. With a name like Head Tactics they could have gone a whole nother direction. We are forced to ponder if that would have been a good or a bad decision.